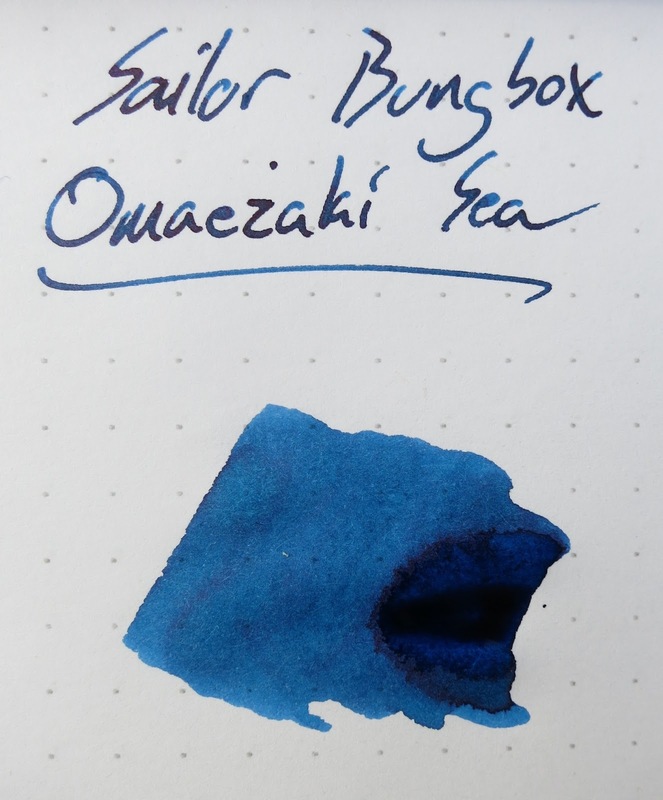 Sailor Bungubox Omaezaki Sea | Inkdependence! Following up Akkerman's Shocking Blue isn't easy, but this one is in the same vein, so it's next! I don't have many of these Bungbox inks (because they're expensive and hard to get in the US), but my friends at the Triangle Pen Club sometimes give me samples of inks that I don't have, and I'm super-grateful for that. 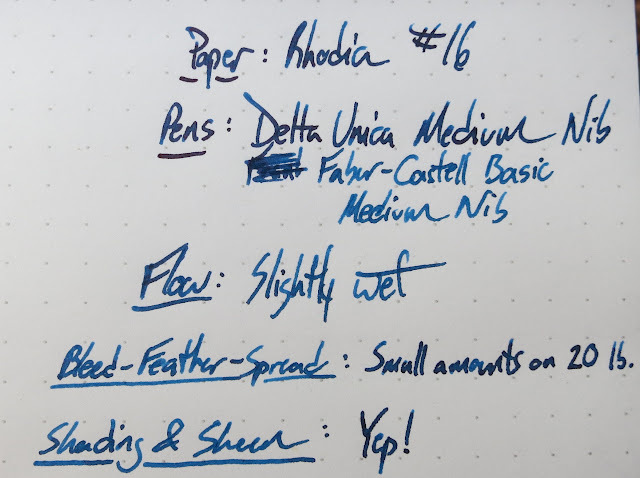 Pen folks are pretty great. 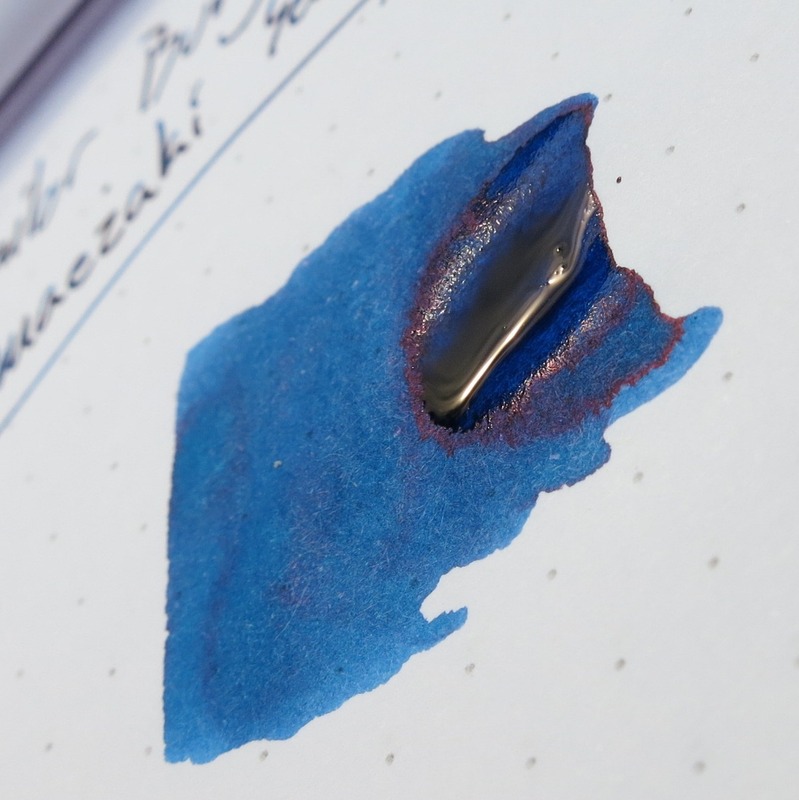 This ink is lot more blue than the Akkerman was. 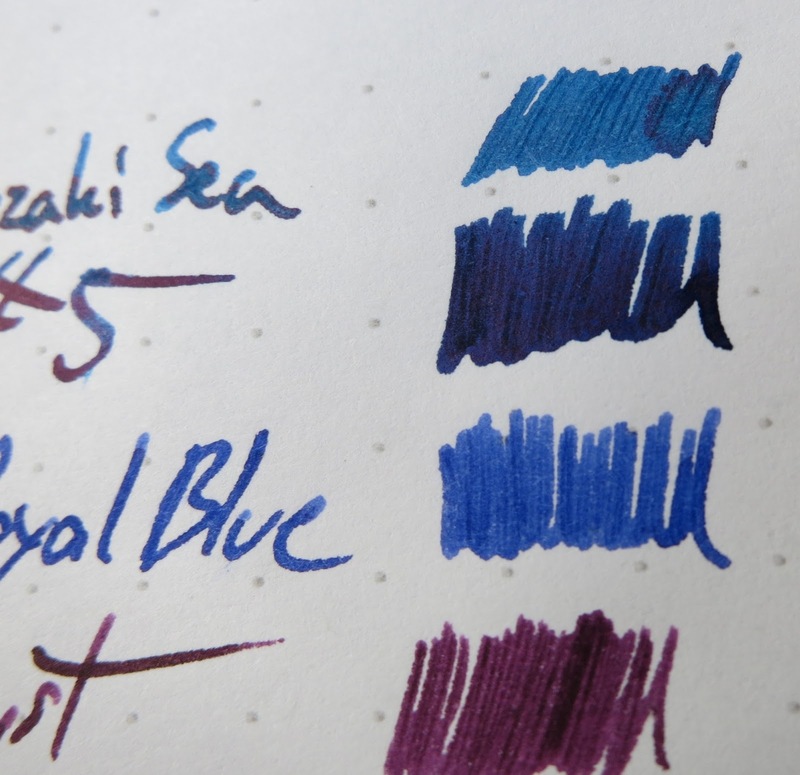 That's partly because it's got a lot less sheen and partly because it's a lighter hue. I actually like it a little more. 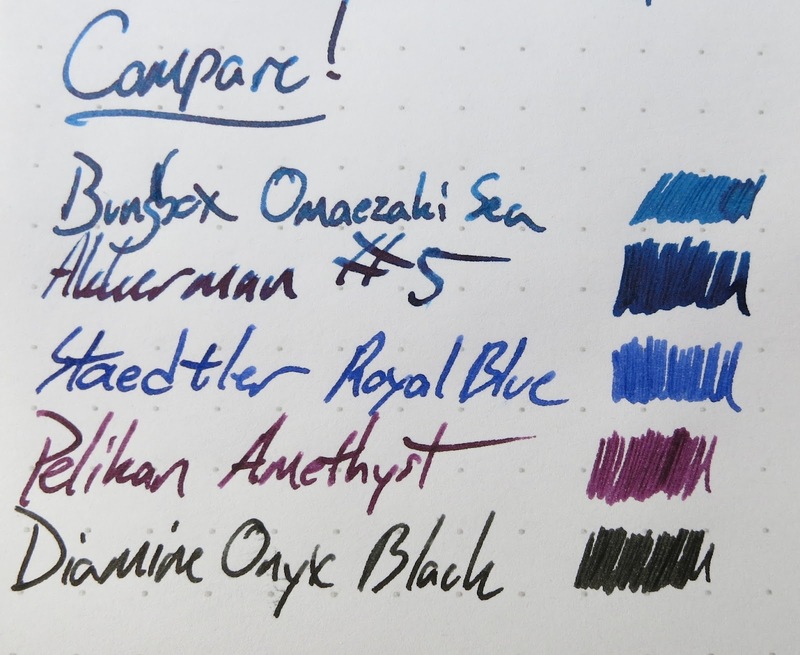 On fancy papers, I think the Akkerman wins because of the absurd amount of sheen. 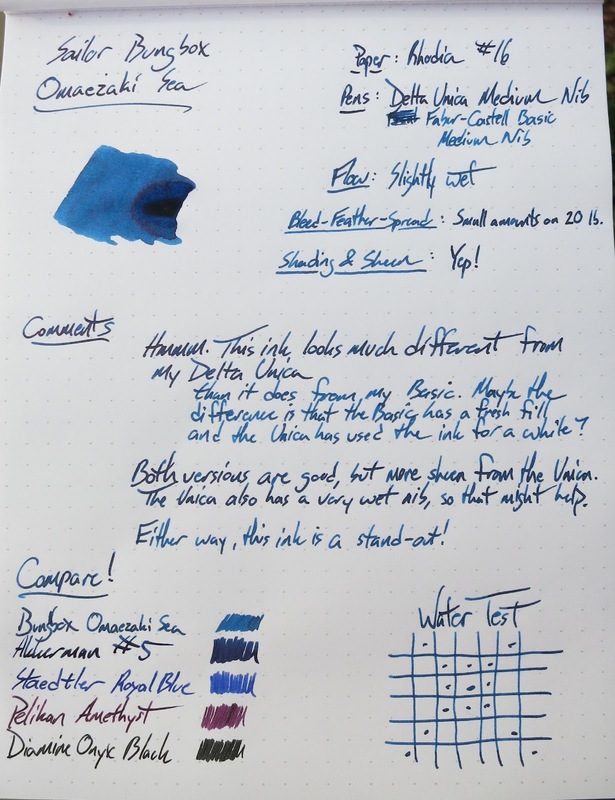 On regular papers, though, I think the color of this one is more interesting. Pretty neat colour but I've heard its quite similar to Sailor's Sei-Boku. Any experience with that? I haven't tried that one yet, but I've got a sample that I'm eager to try.